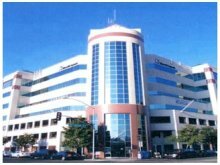 Our Modesto motorcycle accident lawyers try cases throughout Modesto and Stanislaus County, including the the Superior Court location listed below. The attorneys at Riderz Law are seasoned motorcycle accident lawyers with a great deal of trial experience. In the majority of instances, however, we are able to settle motorcycle accident cases long before they reach the courtroom. If you or a loved one have been injured in a motorcycle accident in the Modesto area, our Modesto motorcycle accident lawyers are here to help, 24/7. Call our toll-free, 24 hour hotline for a free consultation. We assist motorcycle accident victims throughout the Modesto and greater Stanislaus County area. Our motorcycle accident attorneys handle all types of motorcycle accidents – from simple “fender benders” with minor property damage, to serious crashes that result in catastrophic injuries. As riders ourselves, we know only too well the danger that motorcyclists face from inattentive drivers, and are here to help when unfortunate accidents happen.